The ideal coupling of two classic albums. 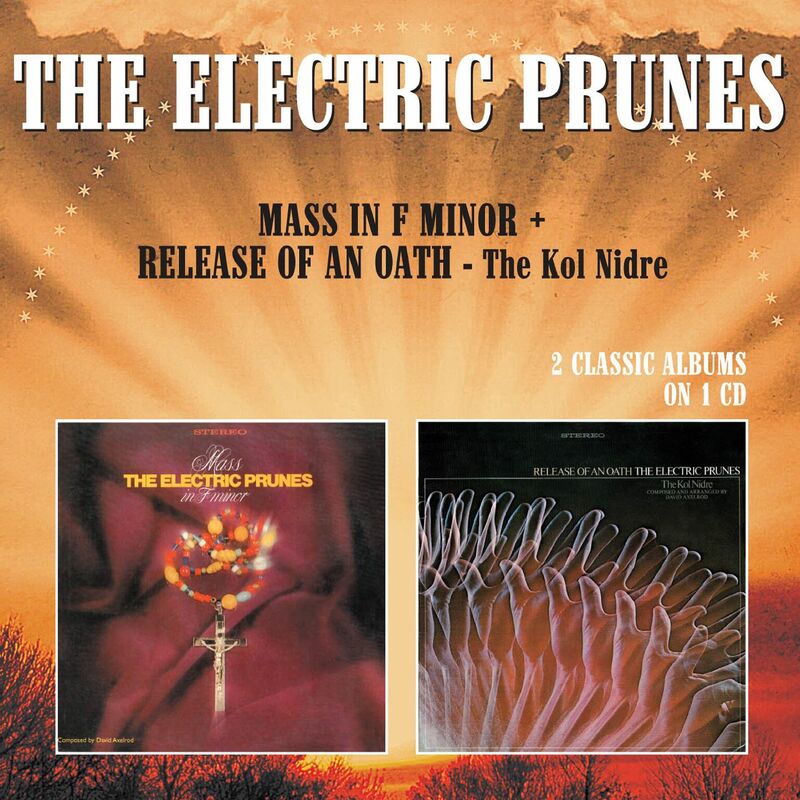 Released in 1967 and 1968 these Electric Prunes albums were certainly something different ie progressive, psychedelic, religious rock. The "Mass In F Minor" is best known for the song 'Kyrie Eleison' which was featured in the movie soundtrack of Easy Rider. Instrumentally the Prunes only appeared on the first three tracks. Jim Lowe, whose vocals were double-tracked for effect, later commented "David Axelrod was so far above what we as a garage band were able to deliver that outside musicians were used to complete the recording, including members of Canadian band The Collectors (later to become Chilliwack)". 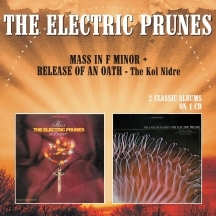 "Release Of An Oath" is based on one of the most sacred Jewish prayers, the Kol Nidre which is recited on the eve of Yom Kippur. Both albums feature orchestra and top Los Angeles studio musicians. They were written and arranged by David Axelrod. The ideal coupling of two classic albums.